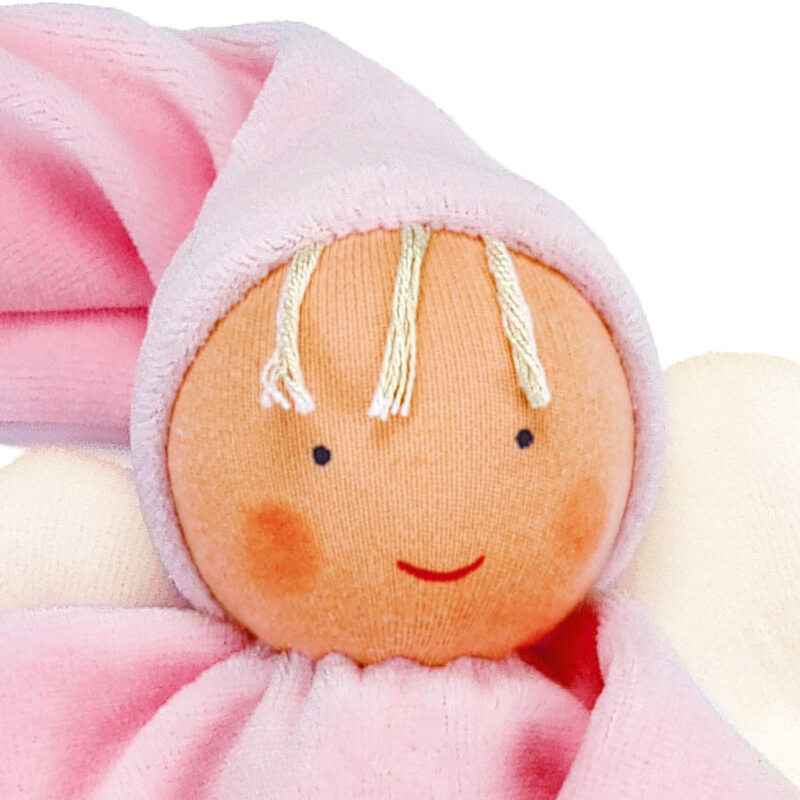 The organic rose Gugguli angel doll fits the tradition of Waldorf education where children's creativity and imagination are inspired by simply-designed, all-natural toys. 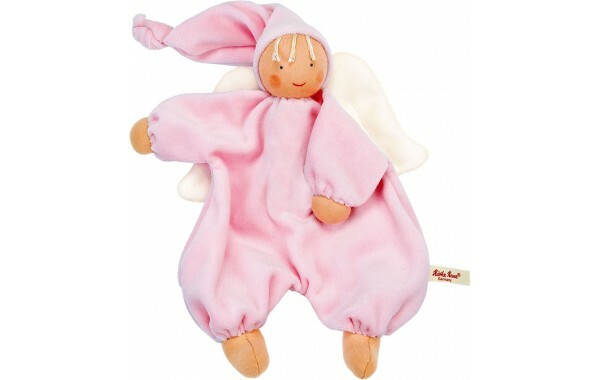 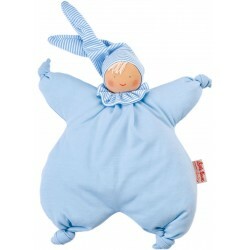 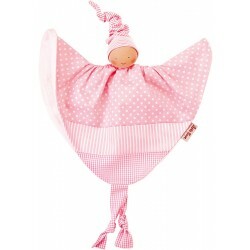 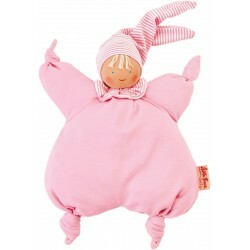 The angel is individually handcrafted with organic natural materials and has a floppy and soft cotton velour body. 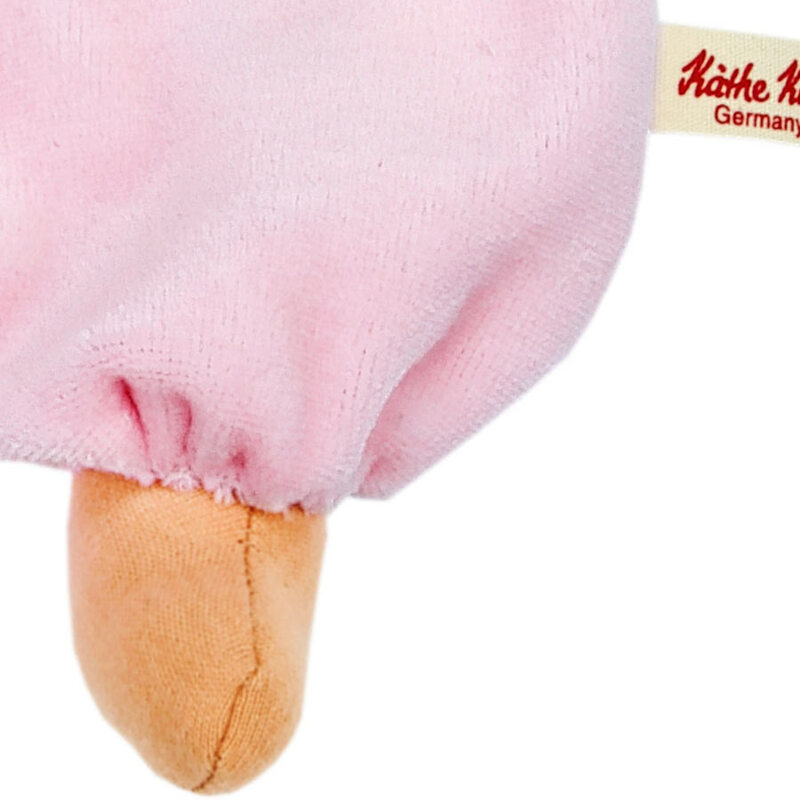 The head, hands, and feet are stuffed with sheep wool. 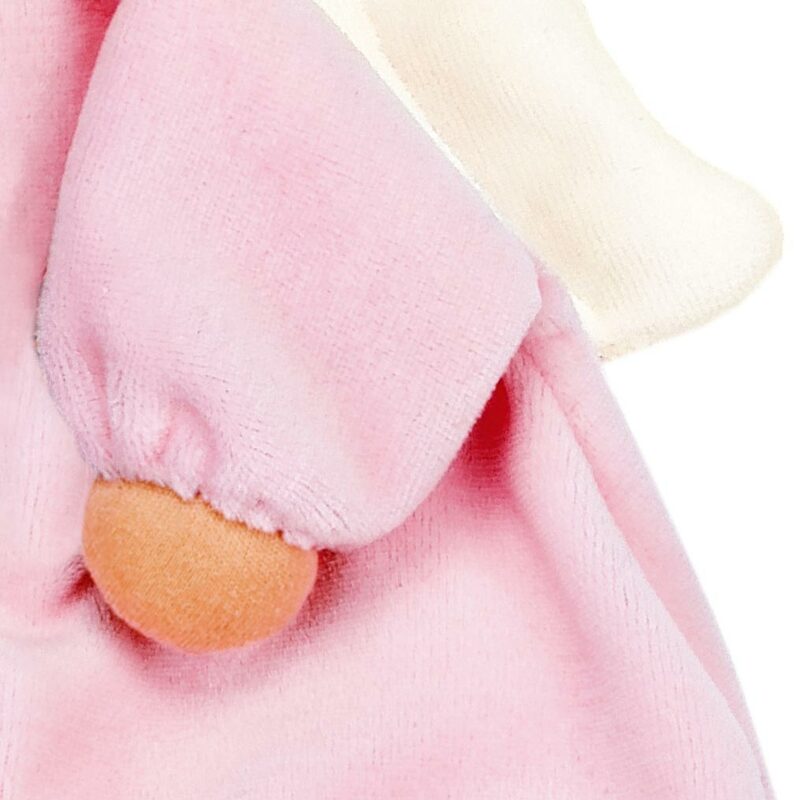 Her wings are white and the facial features are hand painted. 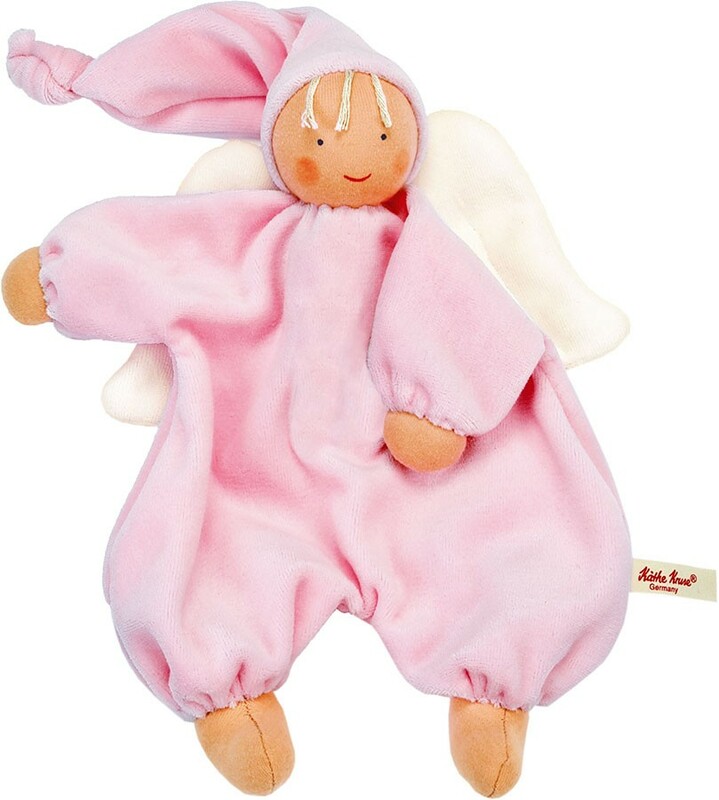 The rose Gugguli angel's neutral features help to develop a child's imagination to see the angel laugh, cry, sleep, be sad or happy.